Hot cocoa seems to be comfort and love in a cup. It's sweet, delicious, and warming when the temperature and life get cold. 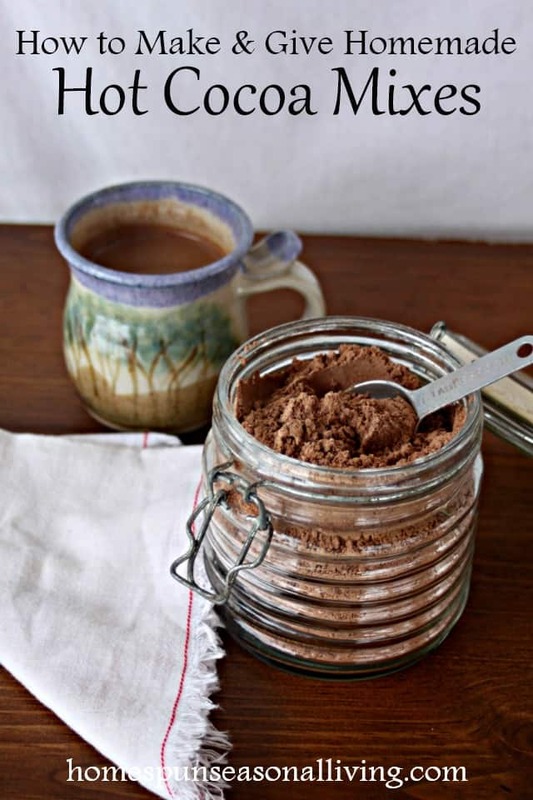 Easy and frugal to make, homemade cocoa mix is a great way to spread cheer and comfort. Combine the ingredients and push through a fine mesh sieve to combine all ingredients and keep them in a small uniform size. To make: Mix 3 Tablespoons of mix with 8 ounces boiling water, milk, or hot coffee. Use dry, powdered milk in the mix and all someone needs is hot water and a spoon to fix a cup. Most of the time any milk powder can be used interchangeably. Use goat milk powder for people allergic to cow milk. Substitute coconut milk powder for vegans or others avoiding dairy products. Some recipes even use coffee creamer to make the cocoa super rich. Dress the mix up by adding some chocolate chips. For local delivery, use jars with simple labels. For mailing care packages, package homemade hot cocoa mix in tight sealing plastic bags and label. Make sure to include how to make the cocoa (mix to boiling water ratio) on the labels. Add marshmallows, either homemade or store-bought to the package for a lovely gift. A festive or beautiful pottery mug is a special gift that will be treasured even after the mix is used up. Tuck a bottle of liqueur, homemade cordial, or schnapps in a basket for adults to spike their hot cocoa. 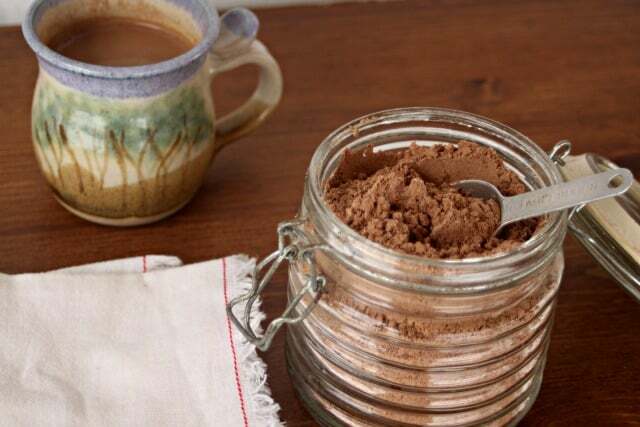 Do you have any favorite homemade hot cocoa mixes?